The applicants who want to get admissions in the PhD Courses in the Aligarh Muslim University can apply for the entrance test which is held in the month of June 2019. The applications will be accepted from 20th May to 25th May 2019. All the details regarding the AMU PhD admissions 2019 have been given on this page. RMAT 2019 is the Research Management Aptitude Test. 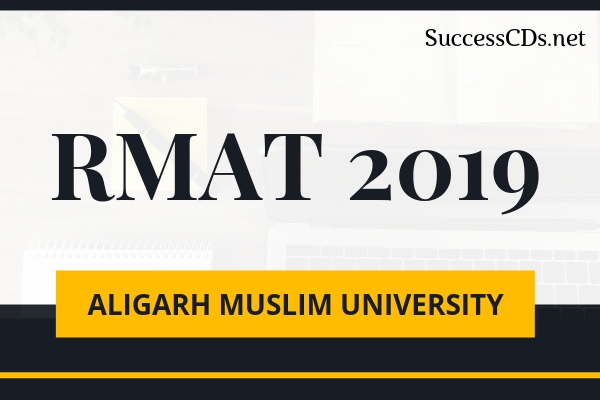 The AIMA RMAT 2019 is organized by AIMA in Association with Aligarh Muslim University (AMU) for PhD Business Administration. All India Management Association (AIMA) along with AMU will conduct this exam in an online computer-based test mode in the month of June session. In addition, the candidate should have a minimum of 50% marks in Graduation. Aspiring candidates will be screened through a written test Research Management Aptitude Test (R-MAT) followed by a n Interview at AIMA, New Delhi for RMAT shortlisted candidates. Send the duly completed Print Version of Online Application Form having Auto Generated Registration No. to "Manager (PhD Program), AIMA-CME, Management House, 14 Institutional Area, Lodhi Road, New Delhi-110003"